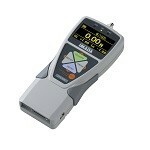 Separate Sensor Model Digital Force Gauge ZT series | IMADA CO.,LTD. 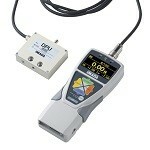 This digital force gauge has an external sensor. Both ZTS/ZTA series are available. For testing at a difficult place for reaching or mounting a regular-type force gauge. (The accuracy and the measurable force type depend on the used sensor). The display is adopting OEL. It enables to show force values, unit and others very clearly. such as date, time, high/low setting points and No. of stored data. The LED lamps above the force gauge help easy checking whether the displayed force is between setting points. ZT series equips a lot of useful functions for force measurement. Peak hold function, Data sending function (up to 1000 points to the internal memory), Pass/Fail decision and more. High-operability force measurements are possible. Many types of output signals are available such as USB, analog , RS232C and more. 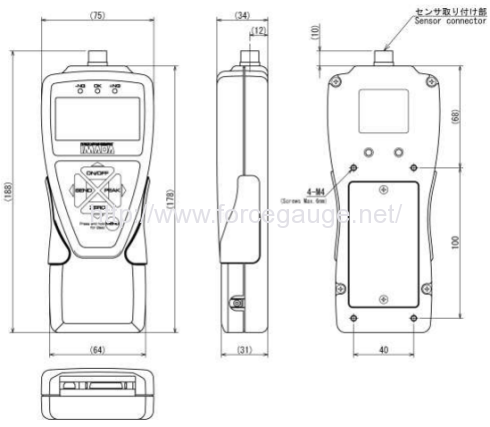 Using including software ZT logger, ZT series is able to output the data stored in the internal memory to a PC. Continuous test data output is also possible at 10 data/ sec. Using optional software Force Recorder (Light / Standard), draw a force- time graph at 2000 data/sec on PC. It is ideal for detailed analyses. including necessary items of force- displacement measurement and analyses. This force gauge is not able to be interchanged the connected sensor without an adjustment. This sensor separated force gauge is able to interchange force sensors without adjustment. This standard model digital force gauge has an internal sensor. The capacity is from 2N (200gf) to 1000N (100kgf). 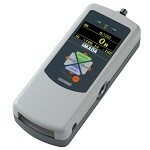 This advanced model digital force gauge has an internal sensor. The capacity is from 2N (200gf) to 1000N (100kgf). Displacement I/O and direct data sending to a USB flash drive are possible. The digital force gauge has an internal sensor. The capacity is from 2500N(250kgf) to 5000N(500kgf). Both ZTS/ZTA series are available. Feature Advanced model with various functions such as data saving in USB memory stick, displacement I/O and more. Standard model with the same benefit in performance as ZTA series but reduced functionality. The battery is more consumed when connected to USB memory stick or linear scale. *4 Not always available for Mitutoyo digimatic products. *5 USB flash drive is not included. *This model list is in the case of using DPU series load cell. 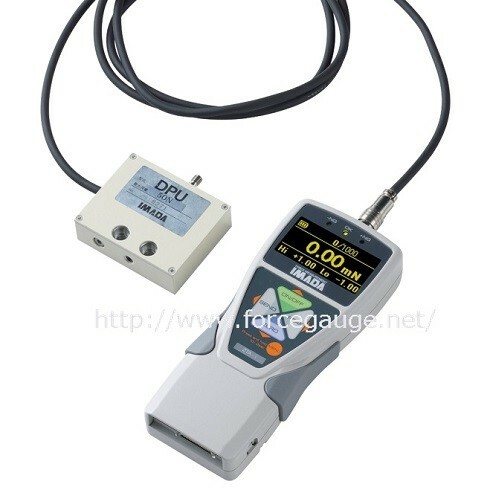 Sensor Separate Model Digital Force Gauge ZT series. How to Make the Force Gauge Model? 1. Select the force gauge model from ZTS series or ZTA series. 2. Select the using load cell (e.g. LM-100N, SW1-500N etc. ).